Submitted by lynn on Friday, September 22, 2017 - 1:34pm. 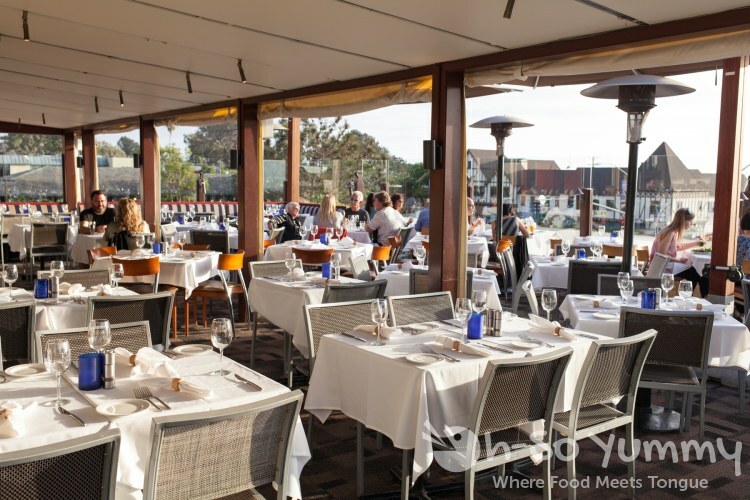 Pacifica Del Mar provides sensational seafood dishes with a ocean view within the beautiful community of Del Mar. We last visited 2 years ago for our anniversary dinner and were delighted to return for a San Diego Restaurant Week (SDRW) preview as media! Rather than being limited to a pre-selected menu, diners pretty much have free reign over the entire menu (premium items have an additional charge). 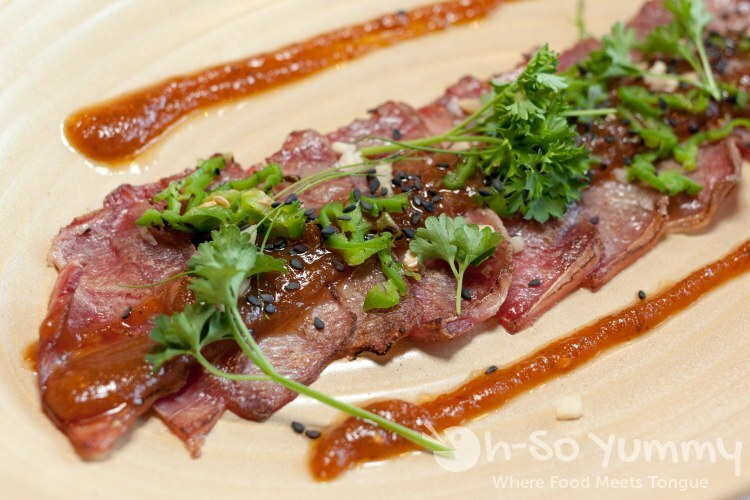 Their SDRW lunch is $20 for two courses and dinner is $40 for three courses! This promotion starts on September 24 until October 1 here and at other participating restaurants (visit SanDiegoRestaurantWeek.com for the full list). There's plenty of indoor seating as well and the restaurant was packed as the evening approached. 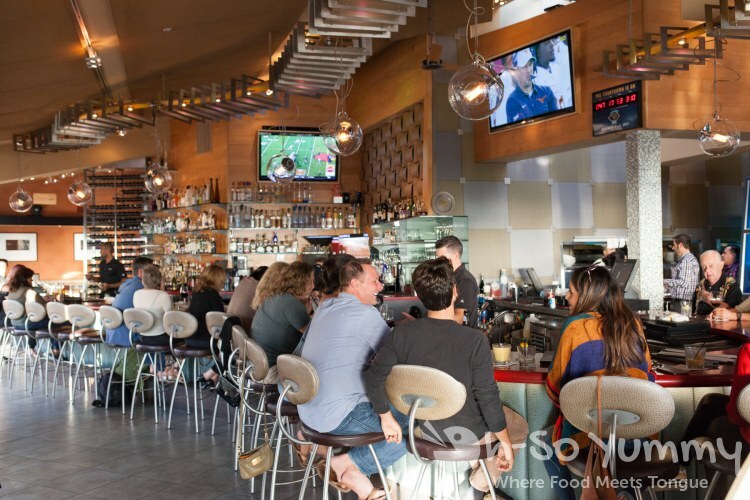 There's a long bar where folks can mingle with friends and sip on drinks. Our server Paul was fun and attentive and helped us pick out a few items for the meal. He dropped off a simple basket of black olive sourdough and butter. We were so impressed with the great crust and fluffy middle that we jokingly said this is the kind of bread we'd want to buy at the store. He revealed to us that it was from a local Encinitas french bakery called Isabelle Briens French Pastry Cafe! Sounds like we need to check out place out soon! Our first appetizer had gorgeous presentation. We loved how fresh the fish was and it left a spicy tingle in the mouth. The super tart glaze was a bit strong at times but all together this was quite a magical bite. 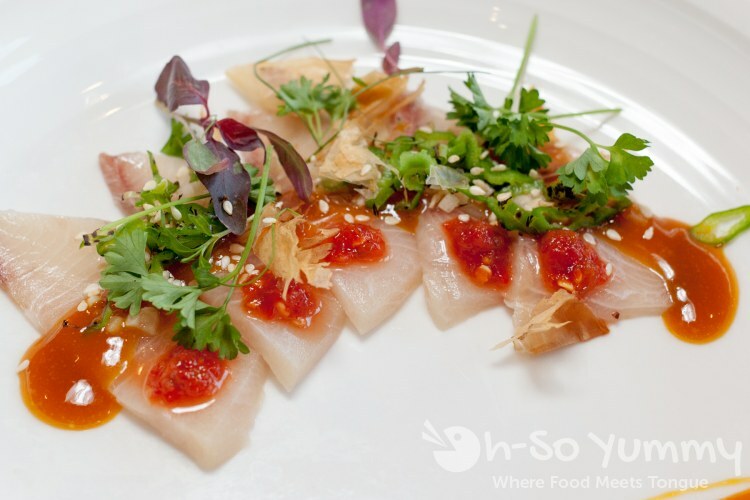 After a mouthful of spicy from the hamachi, I was more than ready to sink into this tamer dish. The sauce was so savory with a nuttiness and grounded meal texture. Here I was hesitant upon seeing more peppers but within a full bite, the pepper was totally bearable. The meat was incredibly tasty with a nice seared edge and beef bacon like presence. 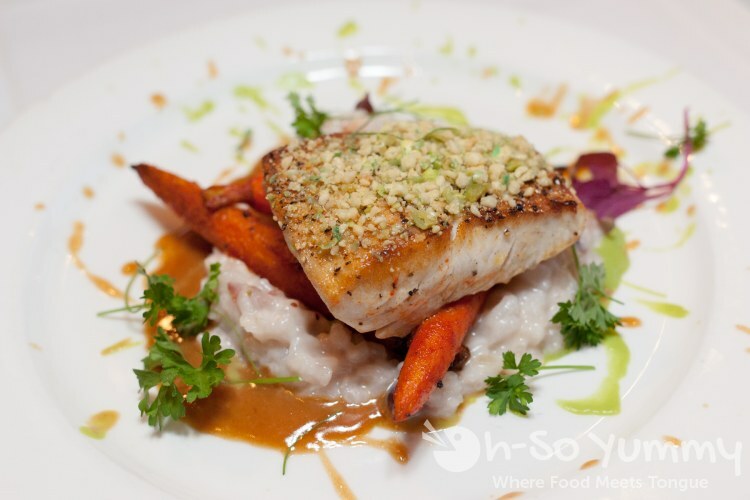 We heard that the talented chef seared this quickly with a torch! I'd order this over and over again! The drink menu is selectable on an IPAD. 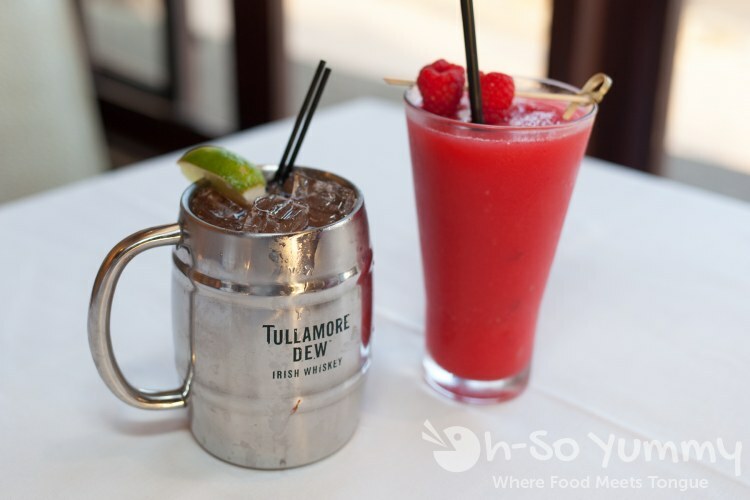 Dennis enjoyed an Irish whiskey mule which he said had a nice balance of ginger beer and a lower alcohol content. He mused on how cool the cup was because it was double insulated and didn't sweat! I loved sipping on my black raspberry puree which was refreshingly chilled and a perfect sweetness. Before long, the entrees were out! 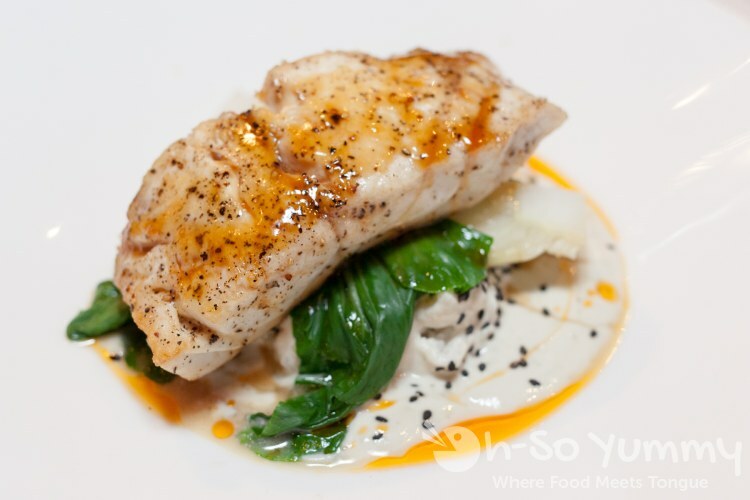 We enjoyed the nutty crust on the meaty fish which was cooked to a perfectly soft flakiness. Underneath was a zesty limed risotto which I just couldn't get enough of! The soft roasted carrots made me feel like a happy bunny. I settled on the seabass which also had a great crust and was surprisingly firmer than the mahi mahi. I couldn't stop munching on the coconut flavored rice and the red chili oil added an interesting touch. You could taste the bite of ginger in this dish too. The bok choy was just ok which I prefer cooked Asian style. 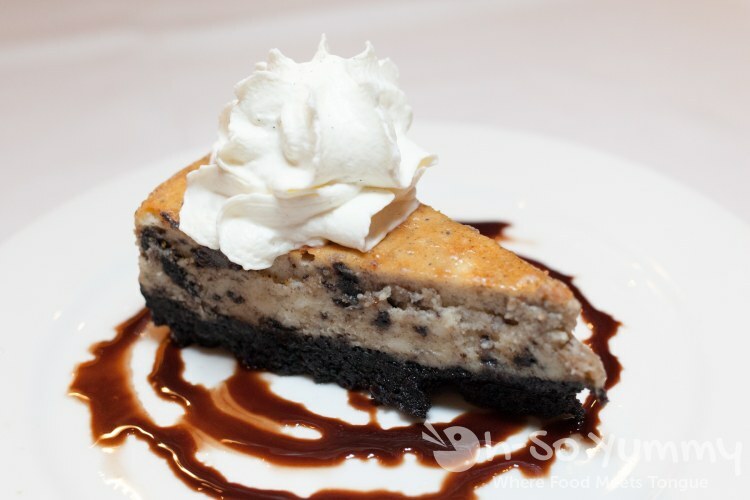 If we ever eat cheesecake, it almost always has Oreos on it! This version was pleasant and not too "cream cheesy" but we were quite full from the previous dishes and couldn't get past a few bites. Instead, we were dazzled by the the cinnamon roll! This was just added to the menu two days before and it was too tempting to pass up this night. 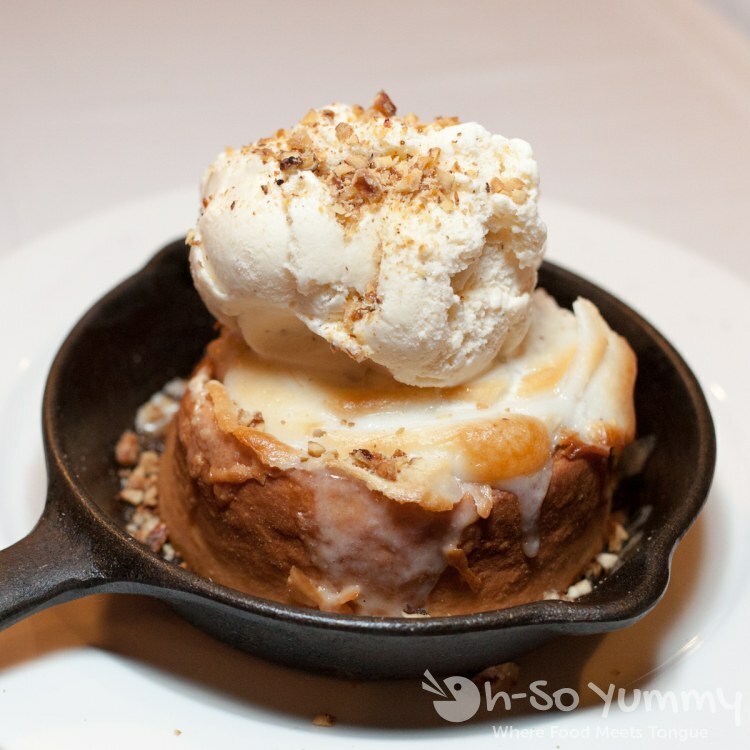 Imagine a hot cinnamon bun with a semi-sweet caramel glaze and then add ice cream to it. This was "can't stop eating" dreamy. The manager Eli mentioned it may not make it to the SDRW menu because it was more time consuming to make. After stuffing ourselves silly, we got our parking ticket validated. There's underground parking in this mall area which eases the parking situation and allows for up to 2 hours free validation! 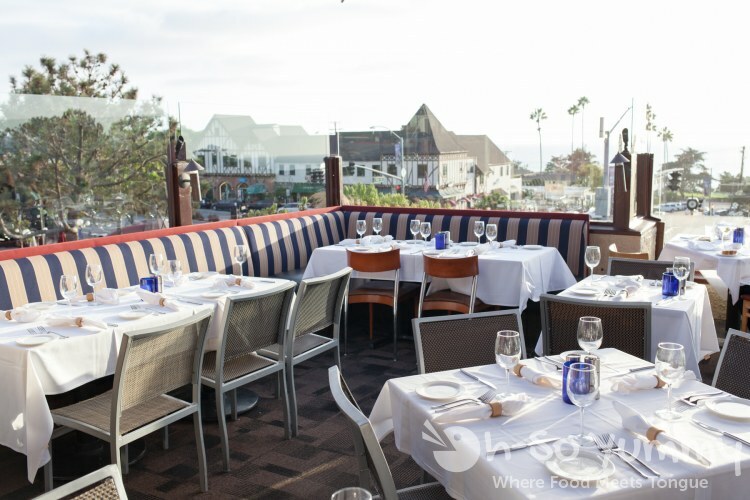 This place is a great date night and definitely a contender for special spots for San Diego Restaurant Week! Are you planning on dining at one of the participating SDRW restaurants? 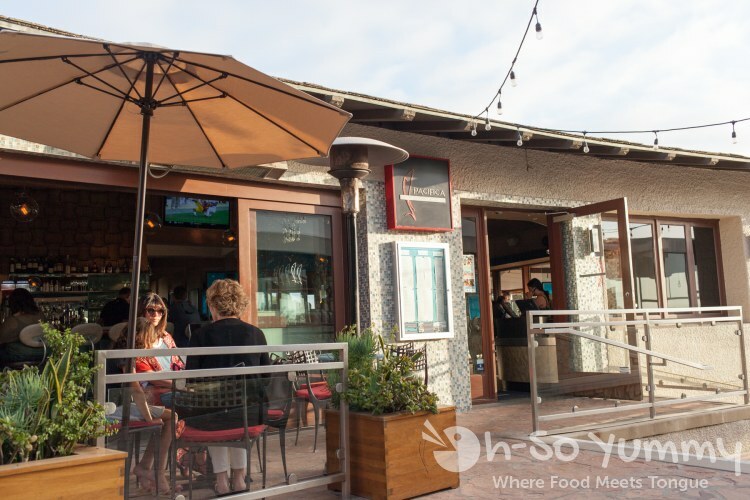 We love that spot when we go up to Del Mar! It's actually one of the places we ate when we were looking at moving here. I need to get up there again soon to try that cinnamon roll! So far, so good for us! They have some cool early dinner specials that I want to check out. That's good you tried the mahi mahi and the seabass. So many options for fish there! Great spot to dine at!